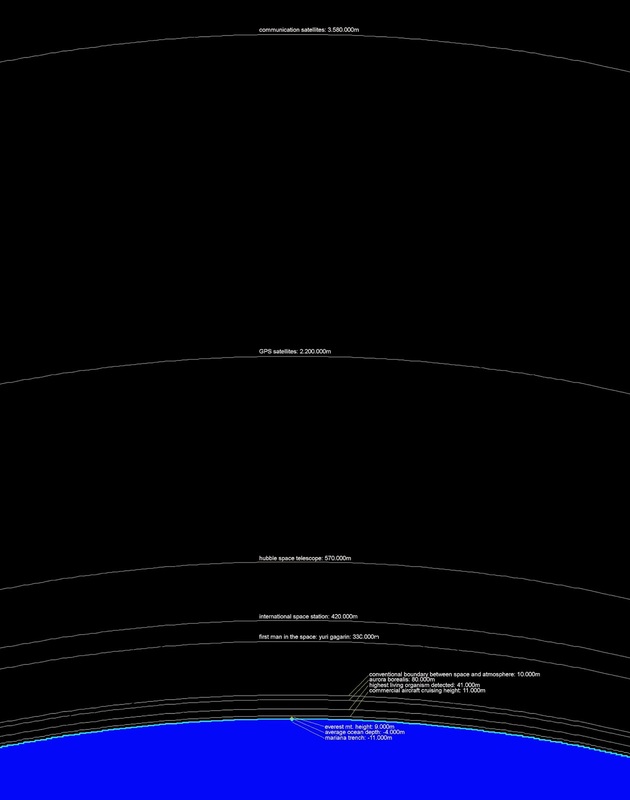 nothing new: just a visualization of well known data about our planet and the outer space. in my opinion it's always amazing to notice how small it's our biggest mountain and how flat it's the surface of our oceans... it's also quite interesting to notice how far they're pushing the satellites on the sky. ok, this is all the most important about the stuffs orbiting near our planet, but what about the distance of our natural satellite, the moon? 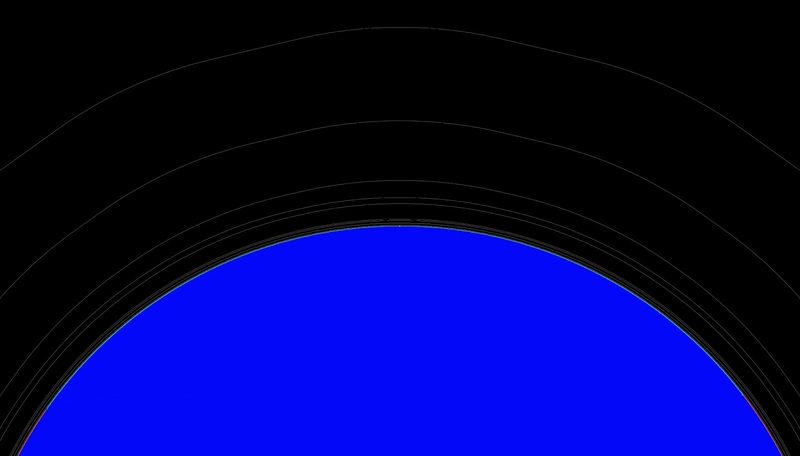 here you have the image that represents the real distance and proportion of the moon in comparison with our planet. quite far, indeed. quite a long scroll, isn't it?